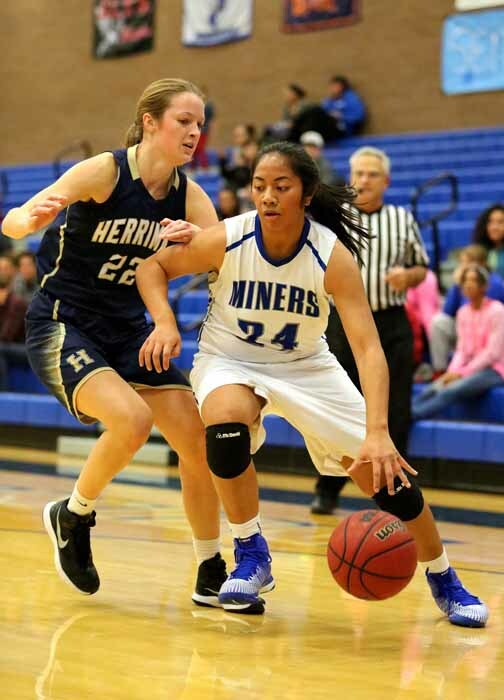 The Bingham girls basketball team had a fantastic preseason record of 10-0, but as play began in a loaded Region 3 schedule, things were not so easy and the Lady Miners have struggled some against local teams. Though it hasn’t been easy, the team seems to find a way to fight back through hard work, arriving at the state tournament with a difficult draw, but with the track record of a team that can rise up and surprise some teams. The keys to success began long before the season started, as a lot of the girls participated in early morning weight training in addition to their athletics class period. The team practices six times a week with intense drills and workouts to prepare for their competitive games, a necessity considering they have a young team with just two seniors and a handful of juniors. The girls work hard with their schooling and bring everything they have to the basketball court to be successful. Madison Loftus, Leya Harvey and Marlee Malohi all share a leadership role on the team. 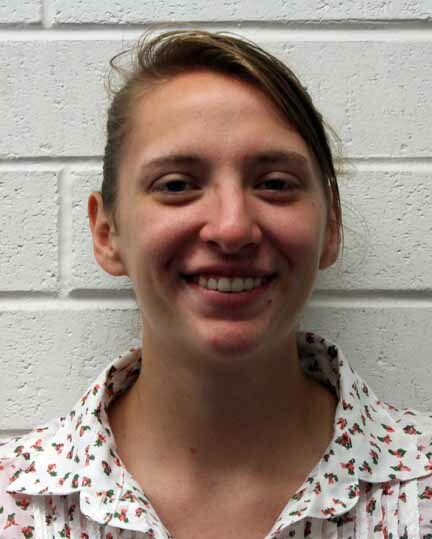 Recently, the three were dubbed “The Dynamic Trio” in a Salt Lake Tribune story. For a successful outcome it is important for a team to have a great team bond. “We all believe in each other and we genuinely love each other which gives us a tight bond,” said senior Britta Gotberg. 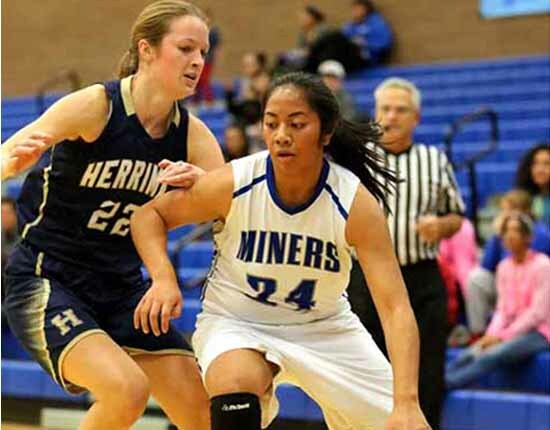 The Miners strive to build friendships with everyone on the team by having regular team parties, locker room rituals like decorating for senior night and playing music before practices and games. The girls believe that it is the time they spend off the court that brings them closer together. Before every game the team has two cheers, one as a team off the court and then a few minutes later another one after the starters are announced. The girls join each other in a circle surrounding two of their teammates, Harvey and Gotberg. They chant, “Whose house?,” with a reply from the team to follow of, “Our house.” This builds the teams confidence and energizes them for the game. At the end of their chant they yell together, “Rise up,” which is the team’s theme for the 2014-2015 season. The team also takes time off the court to develop good character. On New Year’s Eve they canceled their plans of spending time with friends and family to instead serve their community at JL Sorensen Recreation Center in Herriman. This helped the team to grow closer together and set a good example for the rest of the Bingham High community. “It was a proud moment for me as a coach to see teenage girls who are willing to serve their community on a night when most teenagers just want to be with their friends,” Mason said. 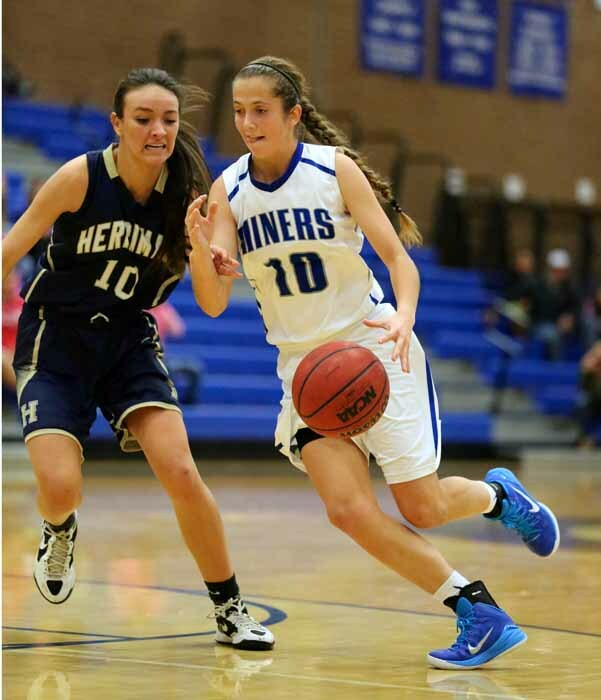 In a possible preview of things to come, one of the team’s most exciting games came against Riverton on Dec. 18. Down by 17 points near the half and looking like they would lose the game against one of the teams that will also be in the running for this year’s state title, the Miners toughed it out and fought back. Loftus had an amazing offensive comeback against the Silverwolves as the game went into overtime as a tight battle. At the buzzer the final score was Bingham 52 and Riverton 51. It’s the kind of game the Lady Miners will need to win if they hope to rise up to the ultimate goal of a state championship. Bingham High junior Marietta Lehmitz wrote this story as part of the Preps Utah/Nu Skin student journalism program.